Naked. 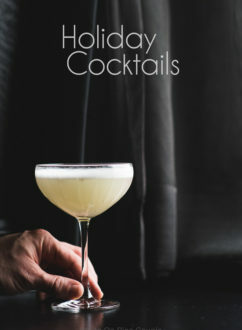 Cocktails. Desserts. And Salads. “Naked” usually causes a double take, but once explained that it refers to eating the citrus straight up or “naked” then the giggles in-sue and a people start to relax a bit. “Cocktails” often gets the follow-up question of “When are you serving?” Even if it’s only 7:00 a.m… Alex. 😉 But you can’t blame them when it is a blood orange or Meyer lemon margarita inspiring early morning imbibing. Especially when it is a gorgeous mid 70’s So Cal morning and the grills are already fired up. “Desserts” brings to mind cakes, creams, and creme brulees. But of the four answers it is the one which draws the least curiosity. Although when you’ve had a fresh Mandarin creme brulee you won’t be forgetting it any time soon. The last answer of “Salads” most often gets the “Huh? !” look. “You mean like a fruit salad or blood orange segments in a salad?” said with crinkled brow. Sometimes, but the main use will be in the dressings. You see, Diane is the Queen of Vinaigrettes. I think something clicked a 6-pack of years or so back when we were having dinner with a friend and her Italian husband. He made this simple salad dressings using fresh lemon juice, olive oil, salt, and pepper. It was amazing. 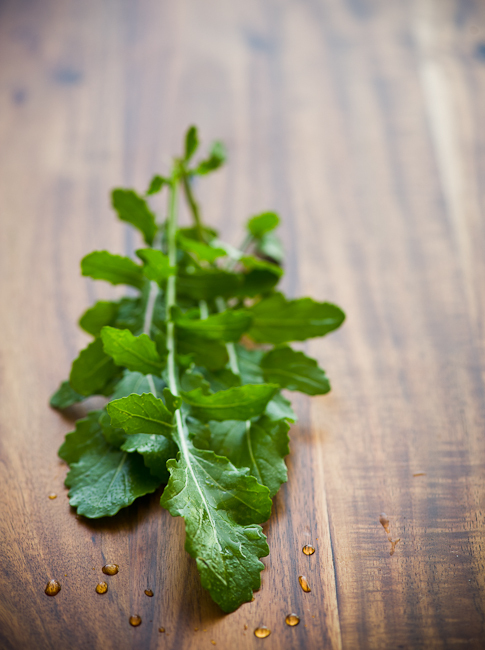 The simplest of ingredients, but so pure and perfect for a summer salad of greens, cucumbers, radishes, and cheese. 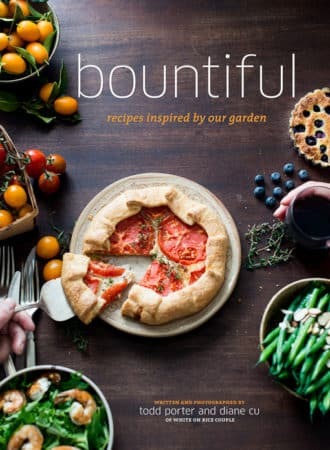 She was inspired and since has mastered the art of making her own salad dressings, often taking the zest or juice of our garden’s citrus to spoil us rotten with a divinely dressed salad. The latest has to be one of my favorites. 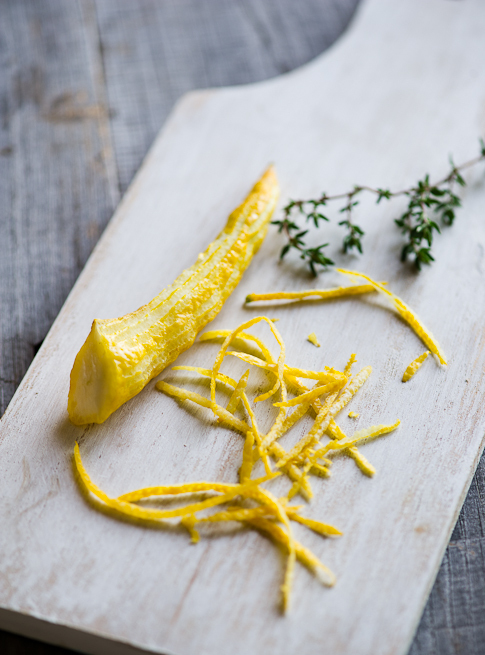 A vinaigrette make with the funk-a-delic Buddha’s Hand. One of the world’s oldest citrus and one that hardly anyone knows what the hell to do with. Most have zero juice and pulp, consisting of only rind and pith. But what a phenenomenal rind it is. One of our recent guests took a broken Buddha’s Hand finger and started dabbing her neck as if it were perfume. The pith is also special in that it lacks the normal bitterness of most citrus piths. Making the Buddha’s Hand perfect for candying. The Queen of Vinaigrettes will zest the Buddha’s Hand then add that to her heavenly concoction of vinegar, oil, and other goodies then toss those over our spring harvests of Mizuna, arugula, radishes, and random lettuces. Sometimes even throwing in a little prosciutto or seared pork belly. Uber divine spring salads. Our Buddha’s hand harvest is still fairly low, with most of the hands going out to friends, so I’ll be savoring every floral drop of this vinaigrette while it lasts. All the while hailing my cute little Salad Queen. This versatile dressing can be used in any of your salads. For this salad, we just tossed together some fresh arugula and prosciutto. Combine all vinaigrette ingredients (oil, salt, lemon juice, buddha's hand zest, balsamic vinegar, herbs, and garlic) together in bowl or jar. Mix or shake well. For best results, allow vinaigrette to marinade overnight. Dress vinaigrette over your favorite salad greens. We made the Buddhacitrus salad dressing, with the Arugula & Prosciutto salad. It was excellent. I added toasted hazel nuts to it the second time, and, the toasted hazelnuts made the salad even better. We thought the balsamic vinegar sort of over-powdered the flavor and aroma of the Buddha citrus. Next time I make it, I think I will try the dressing with half the amount of balsamic vinegar. I am a bit late reacting to this post, but I just got my hands on citron (not Buddha’s hand, the regular, “oval” citron), and was wondering whether I could replace the lemon juice in this dressing with the juice of the citron, or do you think it might be too tangy? Thanks for a beautiful recipe in any case! I have the most beautiful ex-large buddha hands. I love them even raw. And they are great candied. That is absolutely a gorgeous citrus fruit! Your pictures are so beautiful, they are art, thanks for sharing them. Is it crazy that I think I’ve seen these at Whole Foods in Michigan before? I am going to keep my eye open, if only to give it to the cashier and have them ask me what I’m going to do with it! I agree, nothing like a simple and delicious homemade vinaigrette. Thanks for sharing! wow! thanks for the tip on what to do with the buddha’s claws (or so we call it). I grew up seeing it sitting at the religious altars. I never got to taste it, but would imagine it’s bitter somewhat and citrusy. Octopus is goooood! Chop! Chop! Beautiful photos! 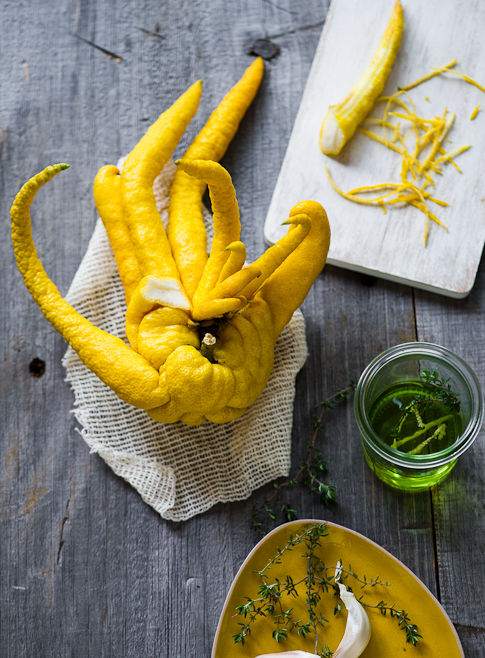 I have never seen Buddhas hands before, a very interesting looking citrus. Never heard or seen before..Buddhas hands! Wish I could get my hands on these citrus beauties. Glad to have found this beautiful space. I’ve been seeing Buddha’s Hand everywhere the past few weeks, while I’d never even heard of it before. I’ll definitely have to actually get one next time now that I know what to do with it! I think I’ll have to try the dressing on a nice herb salad! (Something tells me it might not pair well with my other “go-to”: strawberries and spinach). 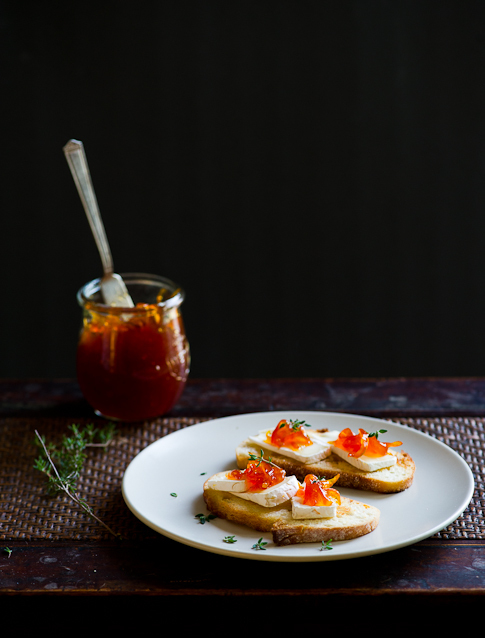 Homemade, fresh vinaigrettes are the best – especially with fresh citrus zest and juice. They are my favorites and I love playing around with different combinations as well. This is the kind of salad I could eat every day – I think I am going to have to search out a Buddha’s hand to make this one!! wow .. they look sooo sooo weirdly cute! I never saw these before or even heard of them. I have to start my hunt .. really to try those sometime soon! I have seen the nurseries in Melbourne selling the trees (without fruits). Wonder if they are hard to grow? They are very frost sensitive, but otherwise fairly easy in our experience. If the watering isn’t consistent, ours will drop off it’s “baby hands” but otherwise the tree isn’t very fussy at all. We’ll maybe get two nights out of the year of a mild frost without any ill affect to our tree. Wow… That fruit looks like something out of Alien! One swift kick of the soccer ball by my son and POW! : Our most prized Buddha’s Hand was severed! Thanks to this recipe, we’ll make good use of it! Thanks WORC! 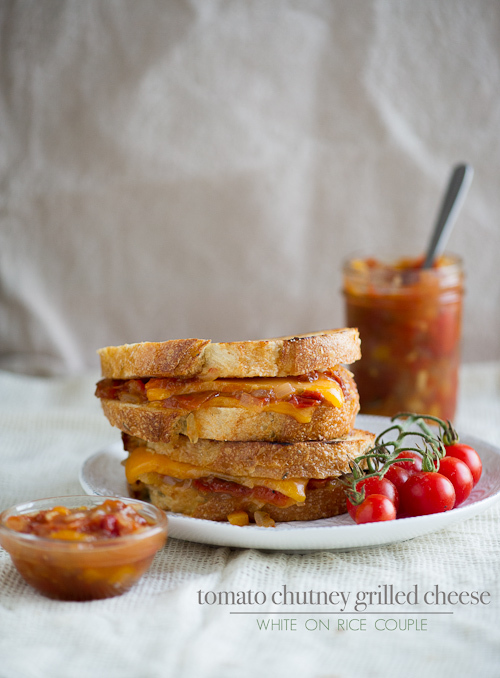 Fantastic use of this ingredient! I can’t seem to find this elusive citrus in the Asian Market …. wow, the fruits look beautiful. I would dry some and use as house decoration. So beautiful to eat! 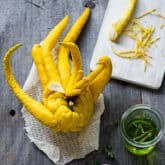 Todd, I would love to try my hand at this recipe but don’t know how to choose a Buddha’s hand (no pun intended). They’re occasionally available in the local store – though a different variety than yours. Any hints on what to look for/how to tell when they’re fresh? Thanks. If they have good color, firmness, and scent (do a little scratch and sniff) they are perfect. Buddha’s hand tends to have a very short shelf life (often only 2 weeks or so) and will start to mold when it is going bad. Although with so many fingers, you can usually salvage quite a bit still. Woah! That Buddha’s Hand is stunning 🙂 I definitely need to get my hand on a few if only for the beautiful photography! Buddha’s hands my be my new favorite food name. Haven’t seen them in NC, I will have to keep an eye out for them! Hope the SoCal weather is treating you well! Thanks Taylor! The garden is loving the sun – rain – sun days! And a lovely post, with lovely photos as always. I dont know why, but I especially love the photo of the greens with the tiny water droplets. Buddha’s hand tends to be very frost sensitive and difficult to clean, transport, and they have a short shelf life, so it isn’t very common for growers to offer them. 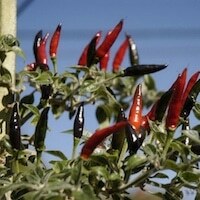 We’ll see them pop up occasionally in high end or boutique grocers and in farmers markets around here. I’ve seen people posting about them in San Francisco farmers markets, too. They are revered in several Asian cultures so you might have luck there. I purchased one about a year ago at O.S.H. of all places, as well as a yuzu and some other unusual varietals. Seems they are “in” right now. Keep your eyes peeled and you might find them… at least in northern California. Whole Foods carries it this time of year. 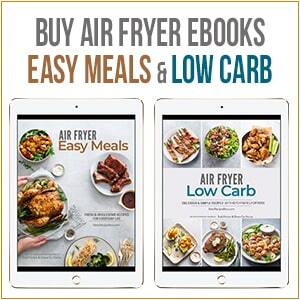 I just bought my first one and ran into this site looking for ideas on how to use it. I grow them. They are beautiful and ready now. I find Buddha’s Hand citrus at Whole Foods, shortly before Christmas. I love the simplicity and fresh crisp nature of citrus in dressing. 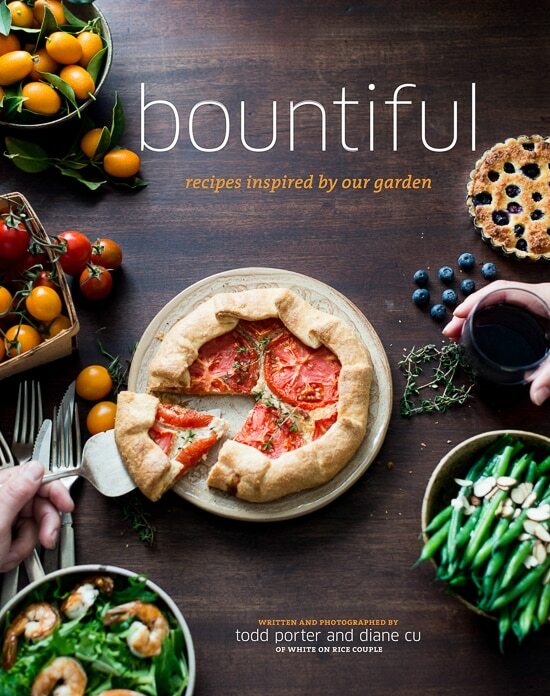 A salad can be a divine experience. 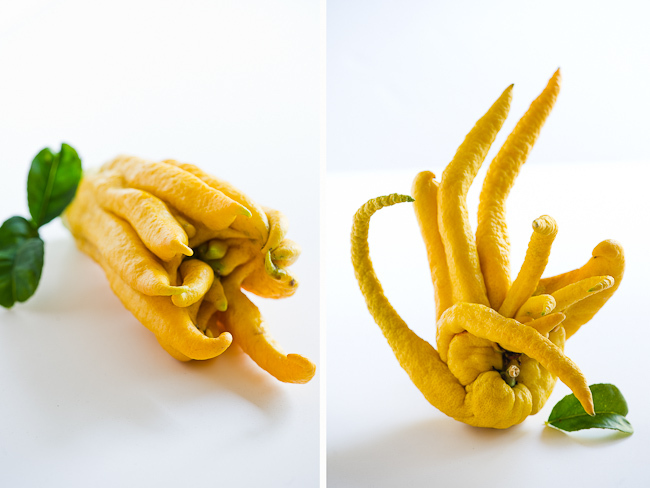 I love the Buddha’s hand…WOW that is just nature at it’s finest. And your photos make me want to be learn, learn, learn!!! Thank you for the inspiration! Wow, I have never seen one! That is incredible. I love that you tell guests you eat your citrus naked. The immediate visual is probably more Adam and Eve in your garden than peeling off the rind of the fruit. I’ve never had Buddha’s hand before, but I’m thinking I ought to seek it out. 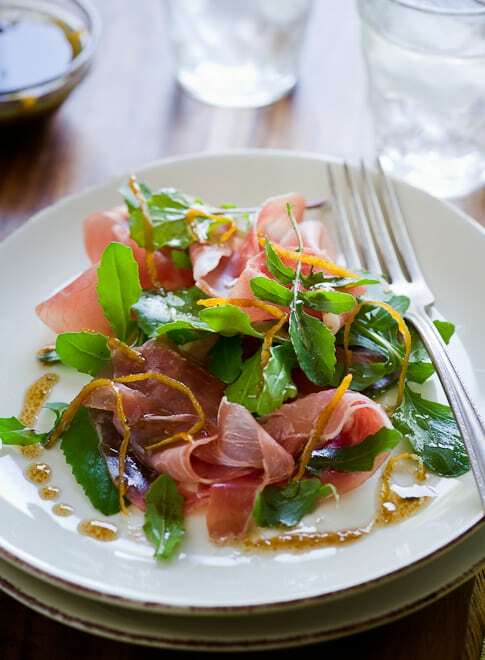 The prosciutto and arugula with a tangy vinaigrette sounds like a fantastic combination to welcome spring with. I’ve been reading about this particular citrus fruit for years but for the love of me I can’t seem to find it anywhere where I live! 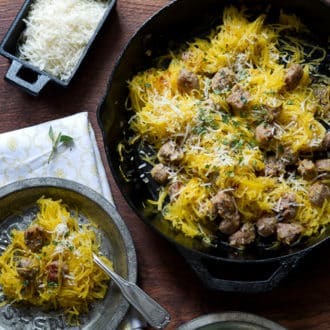 What citrus do you think would be an acceptable substitute for use in this recipe? Lime or lemon would be nice substitutes for common citrus. Even tangerine or grapefruits might be nice too. Try to get as fresh of citrus as you can. We’ve found the oil content in the rind tends to deteriorate quite quickly after picking. One of the perks of growing our own.